Go tribal beneath cool canvas. The 6m Luxury Tipi is perfect for those looking for comfort and plenty of space to enjoy, but with luxury upgrades. 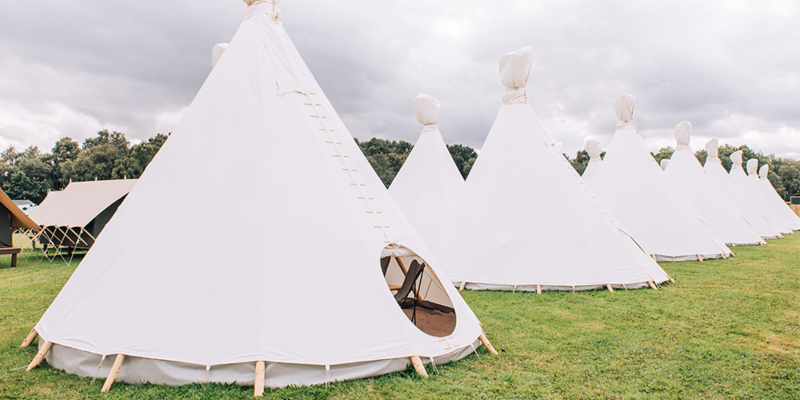 This Tipi comes complete with real beds, clothes storage and hangers, deck chairs and electrical sockets.